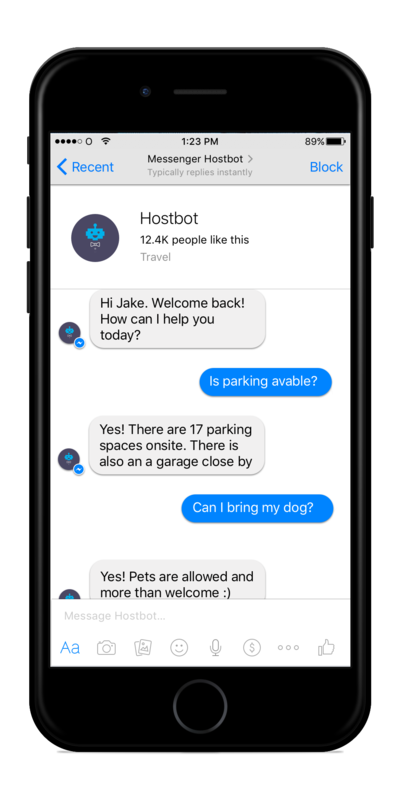 Let Hostbot, the friendly AI chatbot handle customer interactions by providing information and suggestions via an on-demand, real-time conversation. Surprise your customers with instant customer support an see them become repeat customers. 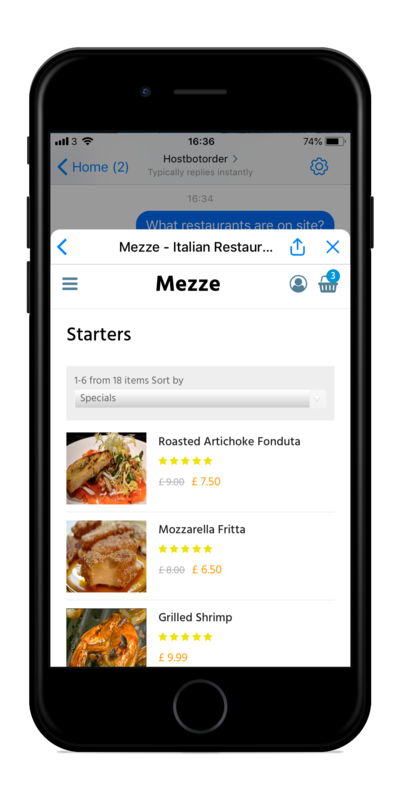 Order room service or food from supported restaurants directly from Messenger. Suggestions, requests, and the bot remembers the guests preferences. Handle your pre-arrival questions and suggest amenities and services to match your criteria. If it’s a special occasion, like a honeymoon, it might suggest making dinner reservations for you or booking a relaxing couple spa treatment. Anticipate your guests wants and allows you to build effective digital marketing campaigns that address their pain points and offer them solutions for their hospitality needs. Order room service, towels, forgotten toiletries and laundry pick up. Check you out when your stay is over and forward a satisfaction survey as you leave the building. Your Hotel Needs A Chatbot. 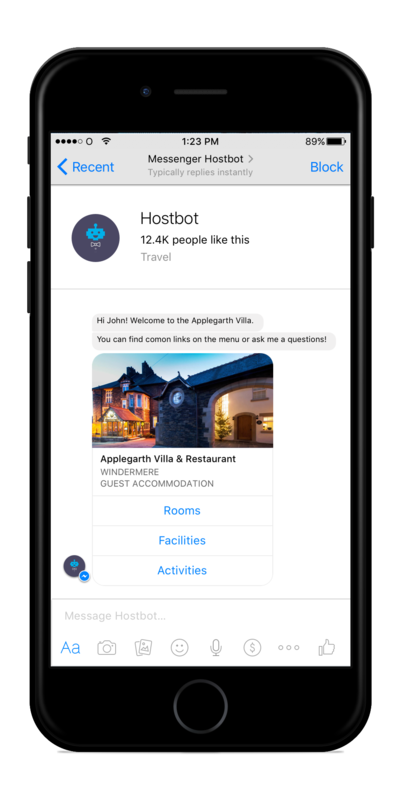 In the hotel industry the arrival of the “hotel bot” has revolutionized the way guests can interact with a company before, during and after their stay. 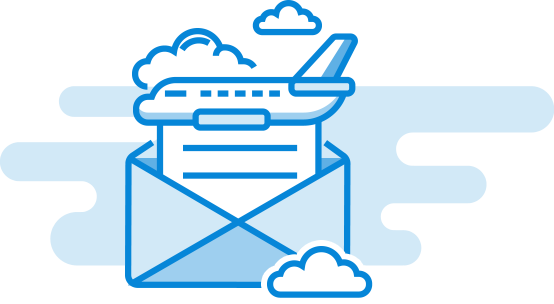 Enter your e-mail and we'll send you a report.